Notice: we are returning to a summer schedule and begin at 5:30PM on March 1st. As usual, we meet at the northwest corner of the UH track every Wednesday. 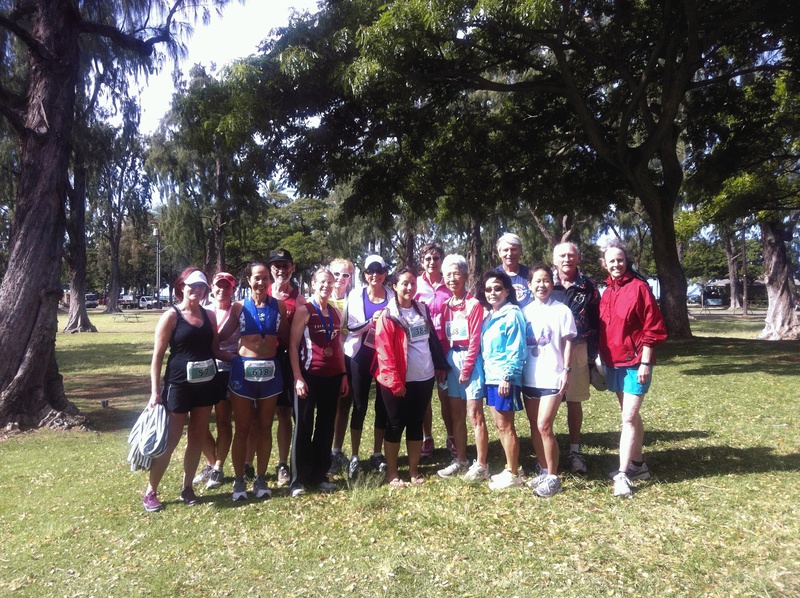 Faerber's Flyers started in 1980, when Connie Comiso of the UH cross-country team decided she wanted to keep running competitively after graduation. She asked Johnny Faerber to keep on coaching her and other women runners - and the club was born. Founding members were Connie Comiso, Gail Akina, Shirl Alvaro, Mollie Chang, Carol Grenados, Judy Kielstrom, Debbie Manning and Cynthia Tuttle. And of course Coach Johnny Faerber. The creation of this physical activity webpage was made possible through a grant from the Healthy Hawai'i Initiative, Hawai'i Department of Health, as part of the Hawai'i Tobacco Settlement Fund. View our Liability Statement.